Turnitin provide support for all staff and students and may be your quickest route to seeking resolution to an issue you may be experiencing with Turnitin. The servicedesk@brighton and for staff your LTAs use this same mechanism when trying to resolve Turnitin issues. If you feel confident in reporting your own issue to Turnitin or you are unable to contact support within the university due to holidays or weekends then you can do the following. 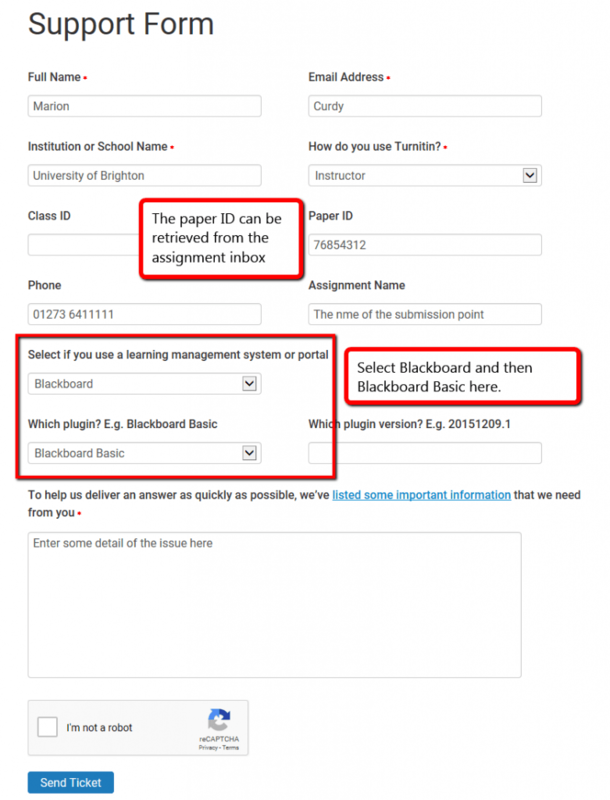 You can access Turnitin Help by clicking on Help within any Turnitin assignment you have access to on studentcentral. This page asks for some information about your issue, and the system will attempt to suggest a solution. If you still need to submit a help ticket, press Raise a Ticket and complete the on-screen form. See details of what options to choose. It will also help if you specify that we are using the Blackboard Basic plug-in, as shown in the screenshot above. 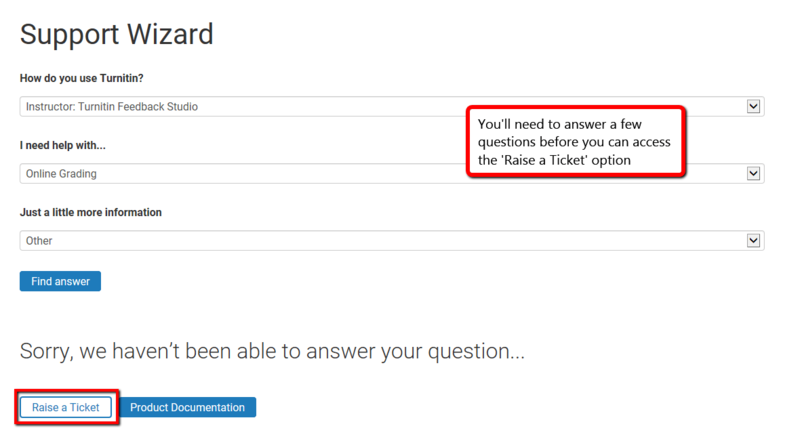 Once submitted Turnitin support will contact you by email to confirm the ticket was created, any further information they require and the progress of the query.